When friends visit from overseas it’s fun to go all out and show off this funny town of ours. To step out of the everyday and become a tourist in your own home. Now I’m not saying I’d queue for Madame Tussauds (I haven’t completely lost my mind! ), but seeing the sights? Towering over the Thames and watching over the south bank. At this time of year it also watches over the Southbank Christmas Market. Which is a great place for an ‘elfie! The food stalls offered up the perfect opportunity to wash away our Saturday night sins and eat our way back to life. With a couple’a spicy, cheesy, Neapolitan beauties. Eaten al-fresco in the cool winter afternoon. The sun dipping lower and lower in the sky. Fully restored, it was time to step up and ride. Now, of course I told Val that we’d be taking a ride on the big wheel. What I didn’t mention is that I was surprising her with a private capsule, just for us. And that the sunset wouldn’t be the only thing sparkling! 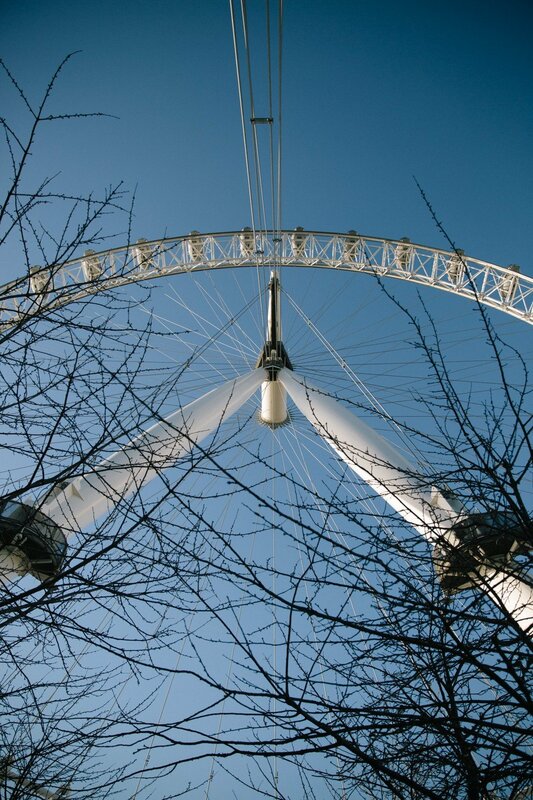 The wheel turned and we found ourselves climbing higher and higher over London. The view spilling out below our feet. All we could do was stand back and watch, in complete awe. Quite literally high on life! As we reached the very top, the sky turned into a amber sort of haze, falling over London and making it seem as though the whole place was made of gold. It’s a humbling place to be, on top of the world. And pretty special to do it with your favourite people. We raced the sun down, and caught the very last of it as it dipped behind Parliament. A quick, 30min ride was all it took to see London in all of her glory. I thoroughly recommend a trip on the big wheel. Just be sure to book fast track, an experience or really blow the budget on a private capsule. Otherwise the queue will be enough to put you off! 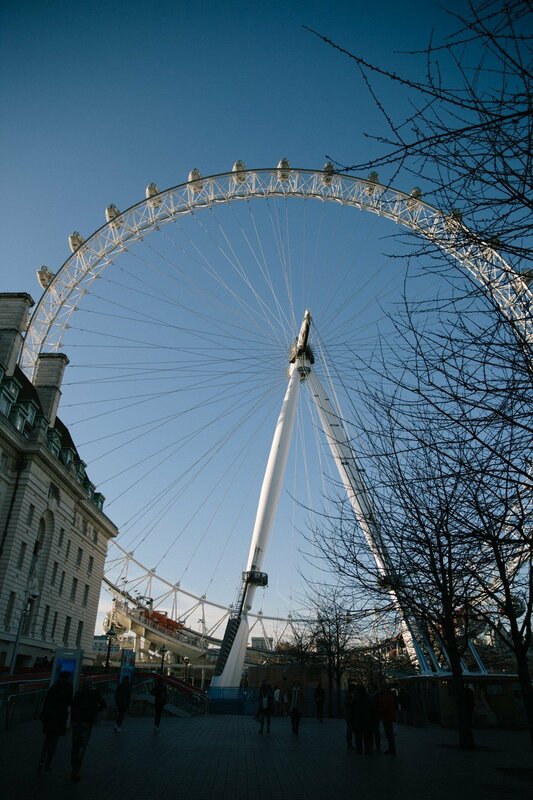 All in all a wheely nice way to see the city from a new perspective!